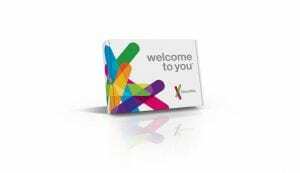 genetic service that meets U.S. FDA standards. We invested nearly two years of work conducting extensive user testing, working with regulators, scientists, physicians, and top product design experts. Most important, we talked to 23andMe customers about how we could improve functionality, comprehension and create tools to improve your experience.Take a look at our homepage to get a sense of how 23andMe is redefining how genetic information is delivered to people.We are working to transition our existing customers to the new experience as quickly as possible, but some of that transition is dependent on validation and local requirements. New customers can expect to begin receiving results within four to six weeks of returning their samples to our lab.On the blog in the coming months, we’ll highlight some of what customers will see in the new product and explore some of the new offerings including new carrier status* reports, wellness reports, information about traits and ancestry, as well as updated tools for exploring more aspects of their own genetic information. Previous Previous post: 24 Good Books to Read. Here’s what Sam Altman of Y Combinator is Reading.